You can’t make great olive oil without healthy, high quality olives. Olive trees grow slowly and require meticulous cultivation by our dedicated family farmers, many of whom have been tending their groves for many, many generations. In Sitia, in Eastern Crete, the sunny island climate and mountainous, rich soil have helped olive trees thrive since ancient times. 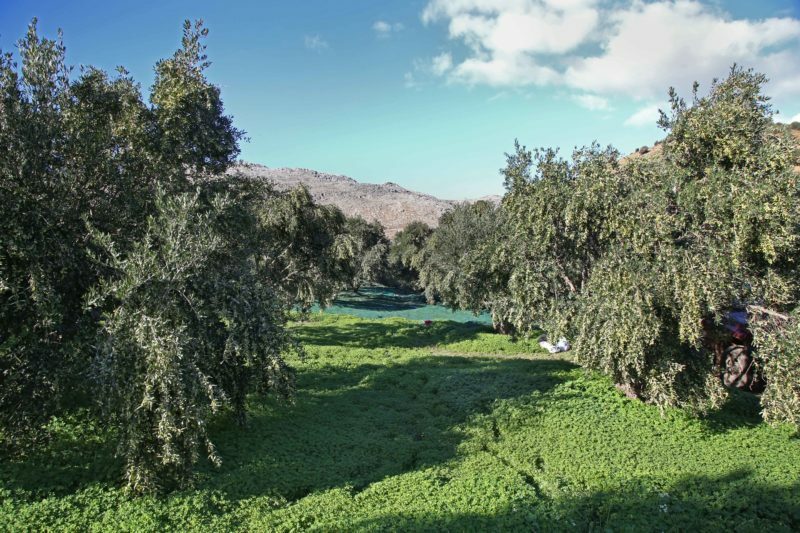 After olives are picked and washed, the 9000 small farms of the Sitia Cooperative—the farmers share ownership with GAEA— bring their olives to 23 community mills. It’s essential that steal blades at the mill crush the olives immediately. 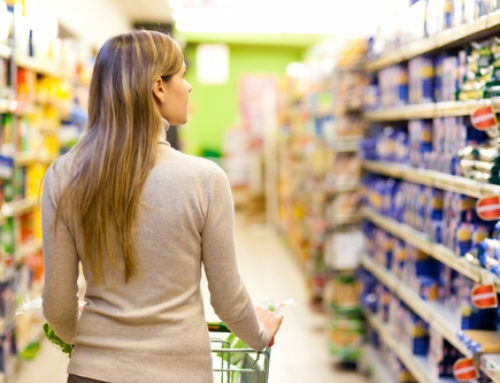 The resulting paste is stirred to release the oil droplets in a process called maceration. Next, they go for a spin in a centrifuge to extract oil and water. 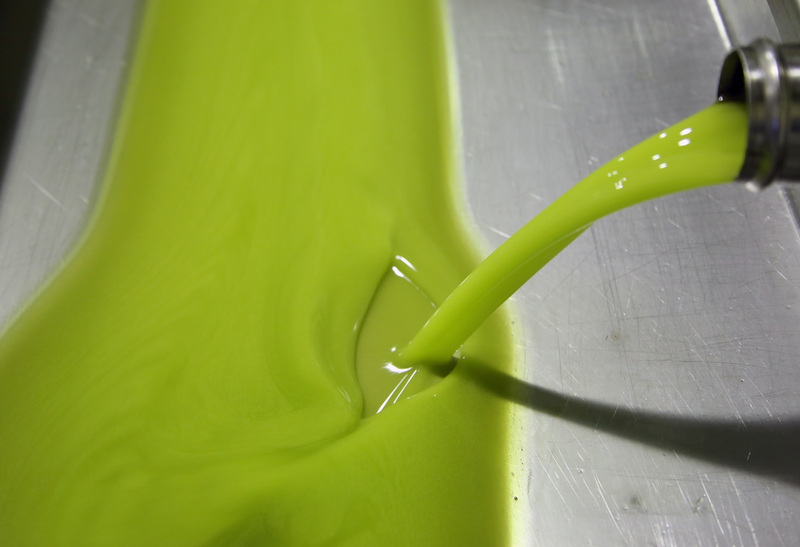 The water gets removed and what is left is gorgeous, fresh, golden-green GAEA extra-virgin olive oil. 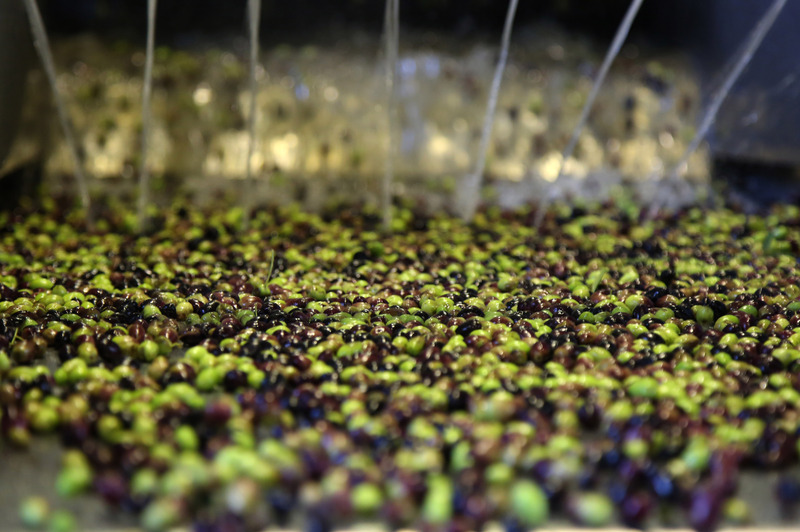 Olive oil is at its best and healthiest when it is fresh, so we never let our olive oil sit in tanks for too long. Every two weeks, tanker trunks bring exactly 28 tons of fresh oil to our factory in Agrinio in Western Greece (that’s a whole lot of oil!). There’s no need for nitrogen, as each tank is filled to its ultimate capacity. We never carry half or partial loads. 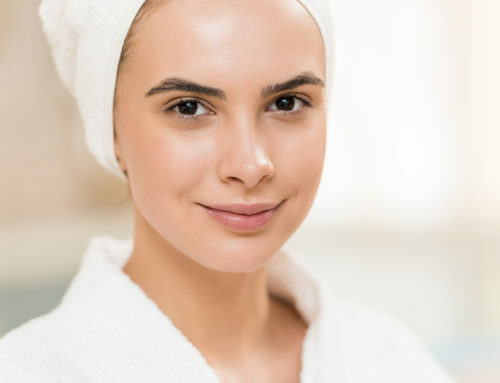 The lack of air is an essential factor in protecting the olive oil from oxidation and degradation, plus it means the oil doesn’t slosh around during the journey. GAEA’s factory is two miles from the center of the small city of Agrinio. The factory building covers an area of 70,000 square feet, with four fully automated production lines. When you walk in, the lovely smell of peppery oil and fresh olives envelops you. 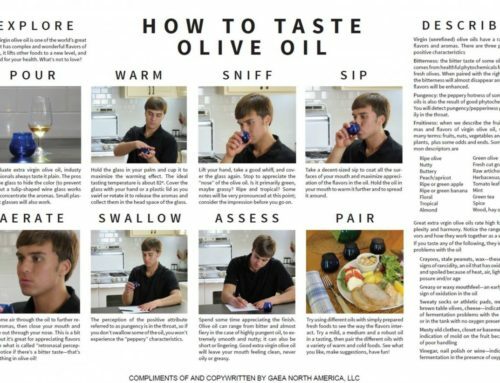 It’s a little like Willy Wonka for all things olive. Ten stainless steel tanks, which hold 30 tons each, store olive oil. On one bottling line, the facility can fill 6,000 bottles of oil per hour, straight from tank to bottle. After the oils are bottled, sealed and labeled, they go into pallets and get shipped around the world. 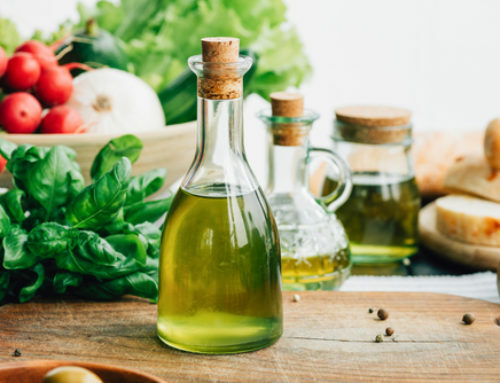 GAEA extra-virgin olive oil will head to grocery stores and restaurants, where home cooks and chefs will use the fresh, super healthy oil to cook, drizzle, dip and beyond. 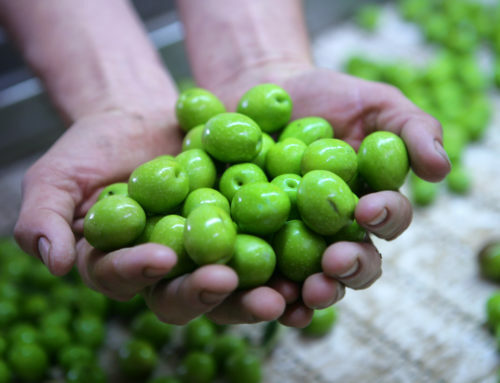 They will taste the work, love and care that went into creating GAEA’s incredible olive oil.